Street Art, Graffiti, Vandalism. Whatever you want to call it, one cannot deny the ever growing popularity of street art. 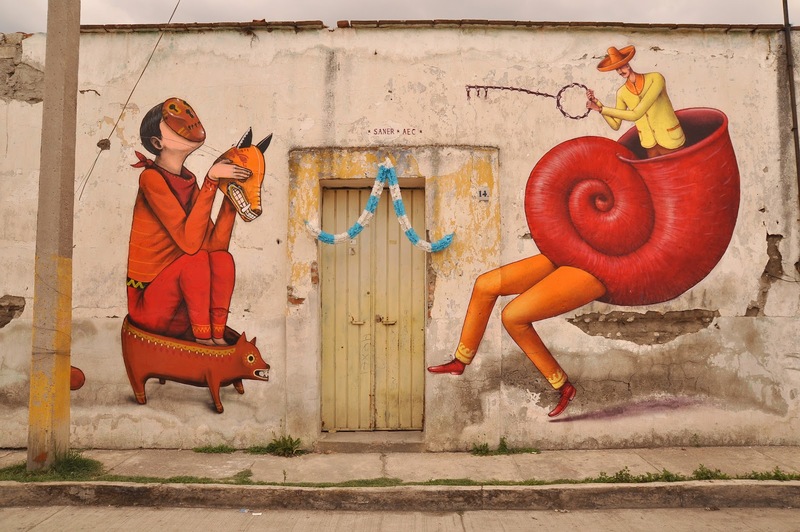 Latin America is considered to be at the forefront of international street art. The unique style of Saner, Os Gêmeos, Bastardilla and Vitché amongst others are widely respected on the international scene. Many of them have now also transcended the traditional art scene with pieces of their work being exhibited in renowned galleries including Tate Modern, London and Fondation Cartier, Paris. 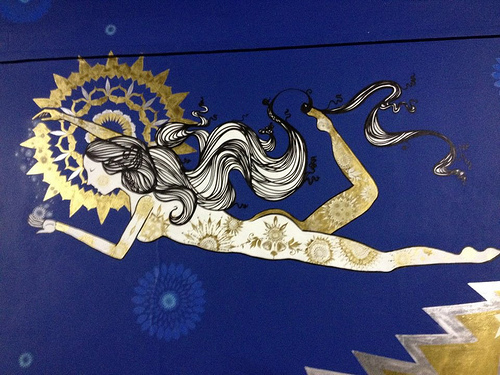 So why is Latin American street art so great? Its not a huge surprise when you think of the wonderfully colourful and vibrant people you find there. This coupled with the mixture of indigenous cultures, local folklore, and the history of European colonization results in a very unique visual style. Given the history of political unrest throughout Latin America, it is not surprising that Street Art has been used as a kind of social commentary and expression. As the continent has developed however, it has become part of the national identity and pride. 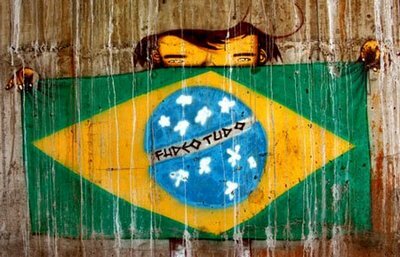 In Brazil Street Art has been used in some of the poorest areas of Rio de Janeiro to help change attitudes and encourage social change and pride in the community. The phenomenal and heart-warming story of Haas & Hahn’s Favela paintings truly shows the power street art can have. Why not check it out for yourself. Visit www.chimuadventures.com to arrange your next adventure. 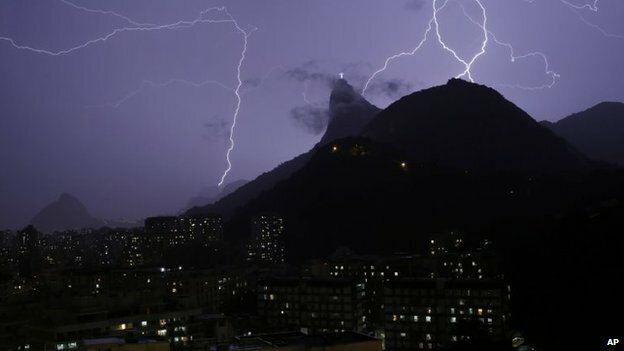 Rio’s famous Christ Redeemer statue was struck by lightening last Thursday, damaging his right thumb. Ahead of the World Cup later this year, many have been worried about the damage to the most iconic landmark in Brazil, which is visited by over two million visitors every year. The statue was inaugurated in October 1931 at the top of the Corcovado Mountain and is the worlds largest Art Deco statue. Officials from the Archdiocese of Rio, who look after the statue have however told the press that repairs will be made very soon. The statue is hit by lightening on average 3-5 times per year, but last Thursday’s storm had the most strikes since 1999. We hope Christo is back to his old self soon!